This is a tale of three separate species of lizard in New Mexico, Sceloporous undulatus known under the common name of Eastern Fence Lizard, Aspidoscelis inornata or Little Striped Whiptail and Holbrookia maculata a.k.a. Lesser Earless Lizard. Each of these three species can be found in a variety of habitats in the American Southwest. Those residing in the White Sands formation of New Mexico’s Chihuahua Desert have evolved to be much lighter in color. Such an evolutionary trick of camouflage is not so unusual. Yet, Erica Bree Rosenblum of the University of Idaho and her fellow researchers have seen this convergent evolution as an opportunity to glimpse the processes driving evolution. As Bree explains in her paper for the Proceedings of the National Academy of Sciences, “all three mutations occur in transmembrane (TM) regions.” Yet, these TM mutations are not equal. Once this was discovered, it seemed likely that they would have achieved this genetic mutation through the same molecular mechanisms. Surprisingly, data revealed that the three species used completely different processes to achieve the same genetic change. Aside from insects and bacteria, in terms of evolutionary timescales, genetic mutations occur over 100,000’s if not millions of years. The gypsum dunes only began formation less than 6,000 years ago, meaning that these lizards had to evolve within this relatively short time span. At this rate, Rosenblum expects that the pale versions of these three species are not far away from becoming their own species. Fountain, Henry. 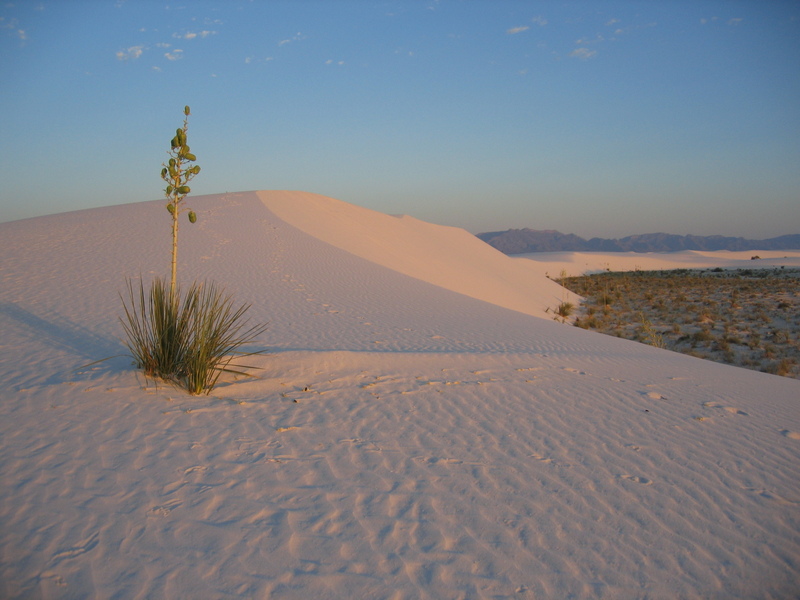 “White Lizards Evolve in New Mexico Dunes.” New York Times. New York Times, New York. (January 4, 2010). Accessed online at http://www.nytimes.com/2010/01/05/science/05oblizard.html. Rosenblum, Erica Bree et. al. “Molecular and functional basis of phenotypic convergence in white lizards at White Sands.” Proceedings of the National Academy of Sciences. University of Texas, Austin. (November 23, 2009).